"I think we accomplished what Capcom wanted us to do" says Slant Six, the developer of Resident Evil: Operation Raccoon City. ""[The critical reception to the game] seems to be fairly polarized," Studio producer, Mike Kerr, told Eurogamer. 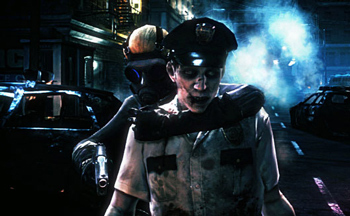 Like most of Capcom's collaborations with Western developers, Operation Raccoon City has been poorly received. The game currently stands at 51 points on Metacritic, with 14 of the game's 15 professional reviews described as either mixed or negative. The only two outlets to give the game higher than 5/10 are Eurogamer Italy and The Guardian. GamesRadar described the game as "One of the worst Resident Evil Games to date" and a Games Beat reviewer said it was "defective in ways I've never seen before." So, not really polarizing at all then. Slant Six is an independent Canadian developer founded in 2005. It's responsible for three installments of the SOCOM series, all of which received a generally lukewarm response. Fortunately, Kerr seems to have the right idea regarding criticism. "It's challenging. A lot of people put a lot of time and effort into the game and obviously we'd like to see the review scores be a little better than they are right now," he continued. "In the end, I think our position on it is that we read every review and we try to pull out all the constructive feedback that we can so we can learn a little about what people liked and what they didn't." "Then we look to what our internal goals were and what Capcom asked us to do and I think we accomplished what they wanted to do - we took the Resident Evil franchise in a different direction," he said. One fan of the game tweeted the following to Slant Six's official twitter account: "having a hard time figuring out why this game is getting such bad reviews". "Us too" responded the developer.